"The next step is clear: full implementation of the Minsk agreements." 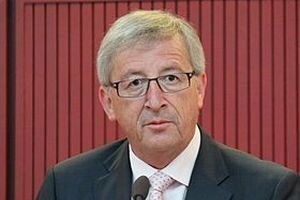 European Commission President Jean-Claude Juncker has said that the resumption of relations between Russia and the European Union must begin with Ukraine and full implementation of the Minsk agreements. "While our relationship today is troubled and marked by mistrust, it is not broken beyond repair. We need to mend it, and I believe we can," he said at the St. Petersburg International Economic Forum as quoted by a UNIAN correspondent. "Our path must begin with Ukraine," said Juncker. "Therefore, the next step is clear: full implementation of the Minsk agreements. This is the only way to lift the economic sanctions that we have imposed. On Minsk, the European Union is united. And so is the G7." "In the coming hours we must not only talk about Russia. I take the view that we must also talk with Russia – its leadership, its people. From the start of my life in politics, I have always worked to build bridges and for dialogue. I believe that the peace and prosperity of humankind lie in openness and exchange," he said. "We need to have a frank conversation about where we stand today. It will be a difficult conversation, I have no doubt, but it is a necessary one." "Even before these dramatic events, our ties were strained. The EU's efforts to engage and explain were not always welcomed or accepted," Juncker said.